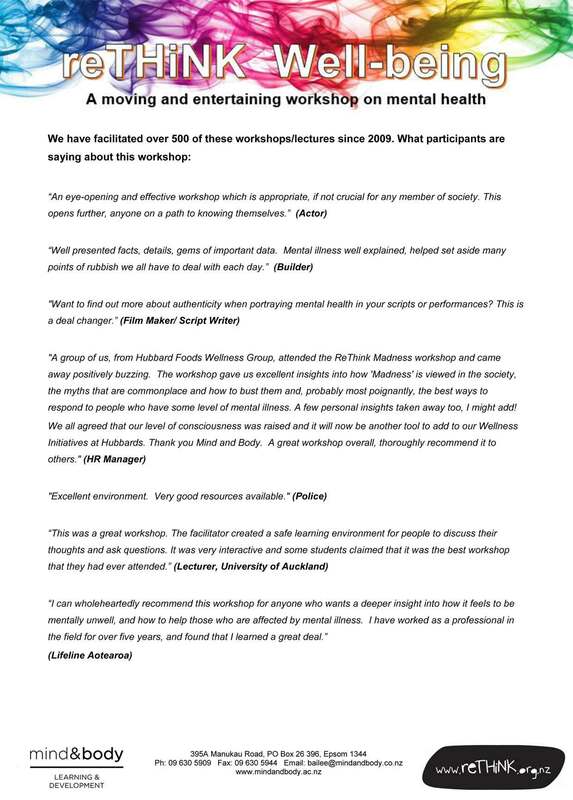 Mind and Body Consultants are running Introduction to Peer Support and Rethink Madness Workshops in Auckland, Christchurch, Raumati, Hamilton and New Plymouth. Check out Mind and Body on Event Finder to find and book a workshop near you. The interactive ‘reTHiNK Madness’ 1 day workshop is useful for anyone wanting to gain a broader, destigmatised, understanding of mental “illness”. Previous attendees have come from a variety of industries including film, manufacturing, health, professional services, sports, retail, and the arts, and been family/whanau, colleagues, friends and people with personal experience of mental “illness”. This workshop tends to sell-out quick. The Introduction to Peer Support 2 Day workshop is popular with people who have lived experience of mental “illness” and/or addictions and recovery, who are interested in learning about peer support. Peer support involves using your own experience of mental health challenges and recovery positively, to walk alongside others who are struggling with their mental health. This workshop gives participants a good overview of the topics and subjects covered in the Certificate of Peer Support (Mental Health) NZQA level 4 should you wish to further your studies. DANZ (Dance Aotearoa New Zealand) is giving you the unique opportunity to connect, take notice, keep learning & in turn be pro-active by attending the first DRIVE workshop for 2015. Vicki Burnett from the Mental Health Foundation, who has been actively promoting mental wealth for the past 20 years, shares her life changing experience of mental distress. She will also provide a background about the Mental Health Foundation and Like Minds Like Mine as well as an interactive session looking at mental wellbeing, which includes looking at how to incorporate the 5 Ways to Wellbeing into your life and artform. 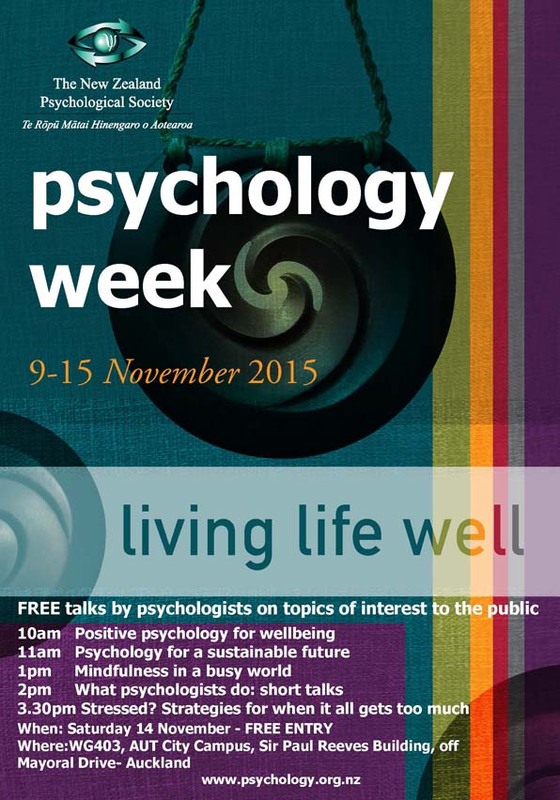 This workshop is a chance to explore possible solutions together. Vicki encourages participants to bring their individual scenarios for discussion or better yet email her your thoughts prior to this session. Due to limited seating capacity you must register prior to the event. To reserve a place, please call the Box Office on 09 309 9771 or email boxoffice@qtheatre.co.nz. Although there is no charge to attend this event, donations to DANZ are welcome.